Welcome to Great Old Gaming Gems! Today we’re going to be looking at a whole system’s worth of retro gaming goodness. And why I here you ask?! Well let’s be honest why not. A recent trip to The National Videogame Arcade in Nottingham had me playing on an actual Speccy for the first time in years so it’s fired up my retro cravings. The ZX Spectrum launched in 1982 and was a leading gaming machine for a full decade. So I’m going to look at a game from each year of its life. As the majority of games on the ZX Spectrum are considered abandonware there are numerous way to play them today pretty much legally. There is a great browser based emulator that I’ve linked to the screenshots below if you fancy having a play today. There is also a modern remake version of the Speccy itself but I’ll get to that at the end of next weeks Spectrum Part 2. With that preamble out the way let’s begin our countdown – The ZX Spectrum a Decade of Gaming Greats. From 1982, incidentally the year of my birth, we have Football Manager. Graphically? This game isn’t much to look at nowadays. But the gameplay? Well that’s very similar, well nigh on identical, to all the modern football manager games. You buy and sell players, train your squad and raise elephants. I may have made that last one up as I’m not a football fan but I am reliably informed that at its core this is essentially the same game as modern Football Manager games. From 1983 we have the ground breaking Manic Miner. Manic Miner was one of the first platform games around so was the spiritual father of everything from Sonic to Mario! This was also one of the first games to have not only in game sound effects but also in game music. When the ZX was released a game with music was thought beyond the limitations of the console but developer Matthew Smith used some very clever use of code to get around this. The object of the game is to collect the collectables, avoid the enemies and all before your very limited oxygen supply runs out as the air in this mine is poisonous. It’s simple platform fair by today’s standards but it was, and still is, addictive! 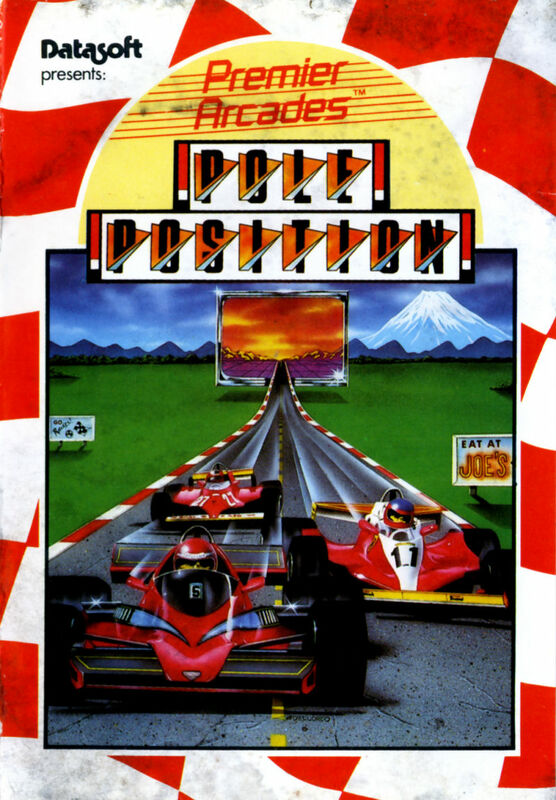 1984 saw the release of Pole Position. A conversion of the 1982 Namco arcade game of the same name this was one of the early racers. For it’s time the game had a blistering sense of speed that only a child of the seventies or eighties can hope to understand when playing it today! This game however proved so popular it is even available on iOS in pretty much it’s original form but as such it’s a game that you can’t legally play. Well worth looking up though! From 1985 we have Robin of the Wood. An otherwise forgettable maze game based rather predictively on the legend of Robin Hood this game is however worthy of note for one reason. This was possibly the first home game to have some in game speech. The title screen actually said “Robin of the Wood!” and in 1985? That was truly amazing! In 1986 players could now play as Batman! In a rather ropey isometric viewpoint action style game. Truthfully this game has not aged well. But you did get to be Batman! 1988’s Batman: The Caped Crusader however… THAT was the first good Batman game. Rather worryingly 2009’s Arkham Asylum was the second. 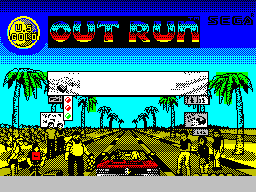 And finally from 1987 we have Outrun. This is another arcade conversion. The Outrun of the arcade fame was the first game to have a specially built cabinet with a steering wheel for control. The graphics for it’s time were truly extraordinary! The ZX version however… managed it. Sort of… Graphically you were quite clearly still driving that Ferrari fast on roads that went off into the distance. The gameplay, while not featuring a steering wheel controller, was also every bit as fun as it’s arcade counterpart. It even managed to reproduce the arcade game’s complex soundtrack in full! How did it manage full sound on an 8bit system with only 48k or RAM? Easy. It came on a separate cassette that you could play on your walkman. Technology eh? This is another one where, sadly, you can’t play it in your browser. And just to whet your appetite? The Empire WILL Strike Back!